Bowl for fun at Sunset Bowl. 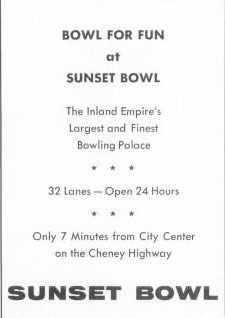 The Inland Empire's largest and finest bowling palace. 32 lanes - open 24 hours. Only 7 minutes from city center on the Cheney Highway.